A blog by Priyanka on Fashion, Makeup and beauty. Here I will talk about new launches, reviews, swatches, Outfit post, looks and tutorials and of course about everything else I love:).. Calling all Girls & ladies in Coimbatore for 2 days interactive course on makeup which will equip you with professional knowledge that I have gathered in the past 5 years during my training under various Makeup Artists and my experience as a Makeup Artist over time. 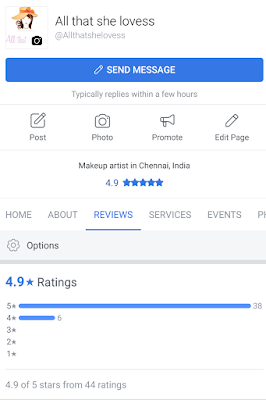 Everyone is beautiful in their own unique way & with the right Makeup one can enhance their look. Whether you are in school or college, Working or waiting for your dream job. 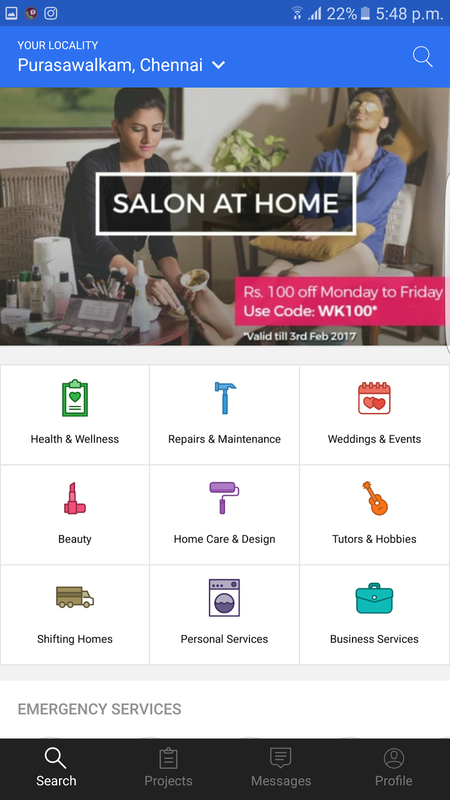 A bride to be or already married, this course will help you to learn & master the right makeup & application techniques. Love the look of your favourite actress that she carried in a movie or at an event? Ever wondered how to achieve that flawless glowing skin? Come learn how to recreate it all by yourself. 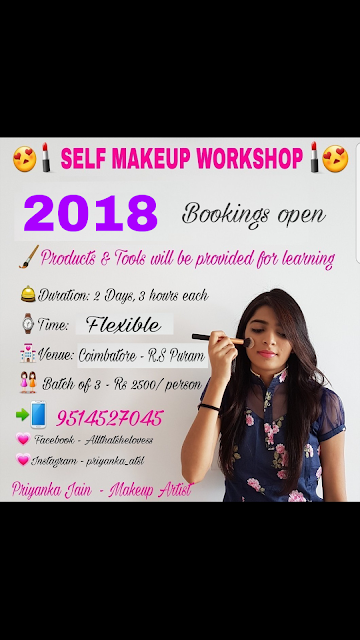 JOIN to learn the art of makeup, beauty secrets and to rediscover your own beauty. Perfect lipstick application & correction. 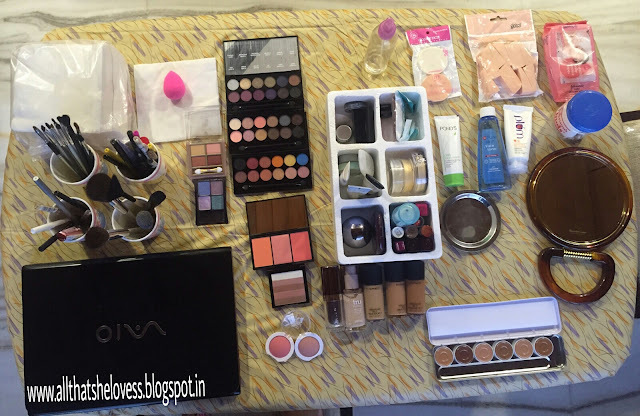 Learn to Make the Makeup long lasting & sweat proof. 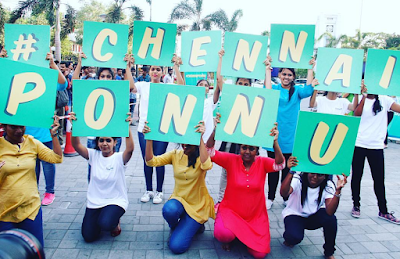 Brands like MAC and other best selling good quality products & tools will be provided for learning. 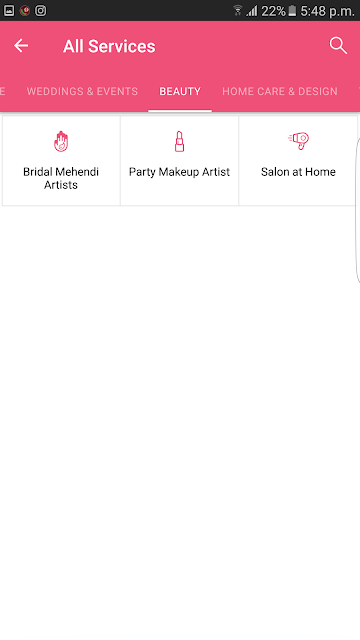 I also provide MAKEUP & HAIR SERVICE for BRIDES, SIDES, PHOTOSHOOTS & EVENTS. Duration: 2 days. Approx 3 hours each day. Only 3 people per batch. Flexible & Workable date & time. Duration: 2 days 3 hours each. One to One personal attention. Customised workshop for flexible learning & experience. All products, Makeup brushes & tools will be provided to each student for practice. 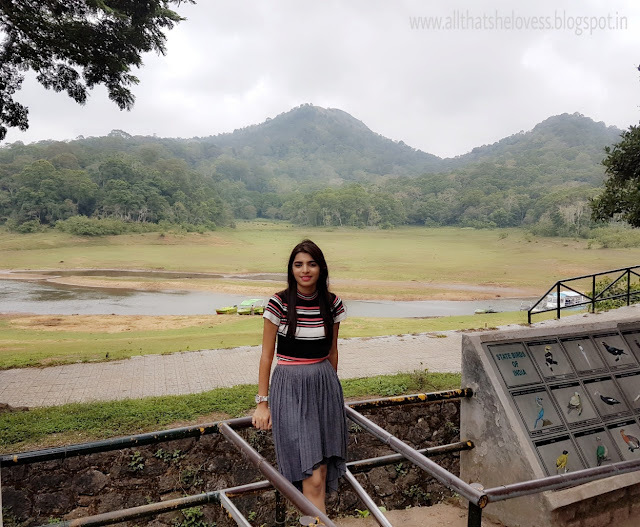 I went to Thekkady 2 months ago and its a beautiful hill station located in Kerala with nature at its best and today I bring to you an OOTD from that trip. Periyar tiger reserve has some breath taking view and also plays a home to various birds & animals like bison, tiger, elephants etc. 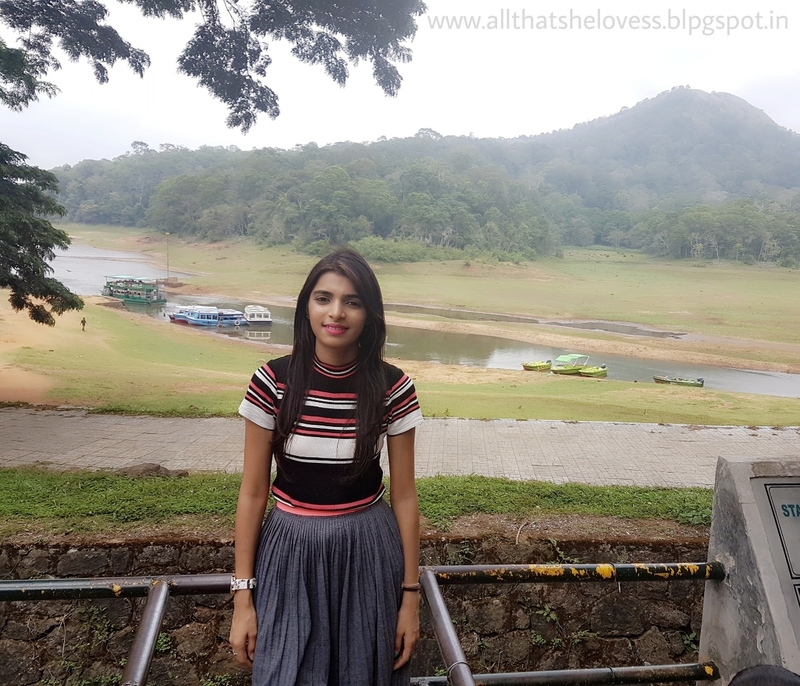 The boat ride was such a pleasant experience where we got to experience a few birds & animals like bison & elephants bathing & crossing the water body and giving us a mini visual. Watch- Street shopping in Rome. I went easy on my Makeup since it was gloomy & drizzling that day. I wore the Bobbi Brown cushion foundation & set it with a translucent powder & finished with Mascara & soft pink lipstick. 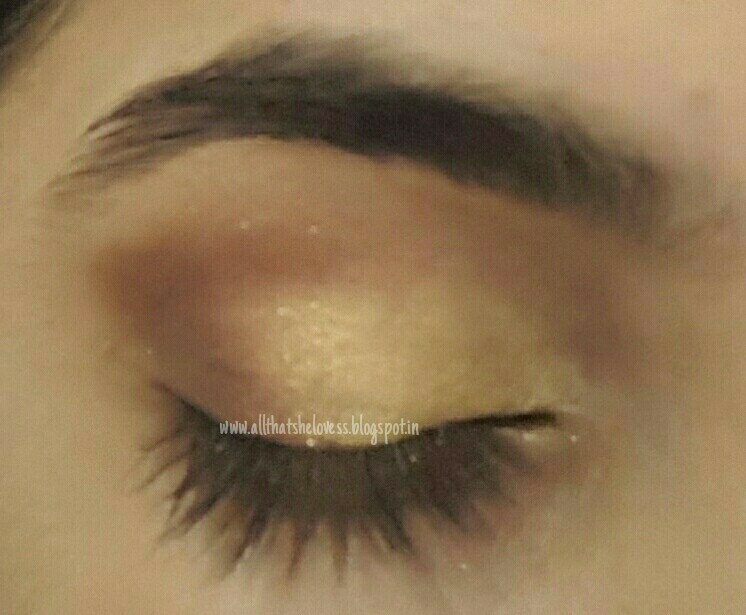 How do you like this Look? Let me know in the comments below. In this post I'm sharing my latest video where I show you the Products I purchased recently for my Skin & Hair. Some are new finds and some holy grail repurchases. 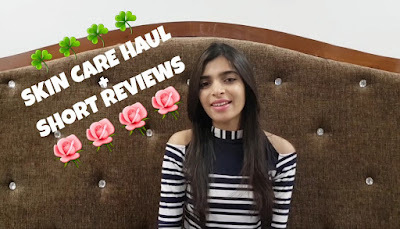 My skin type is usually Combination Acne prone and My hair is naturally straight and silky but pretty weak and prone to hair fall, whereas skin on my body is slightly on the dry side so watch the video to find out what all I purchased. If you have any Product suggestions for my Combination/Acne prone skin type or hairfall issues let me know in the comments down below. 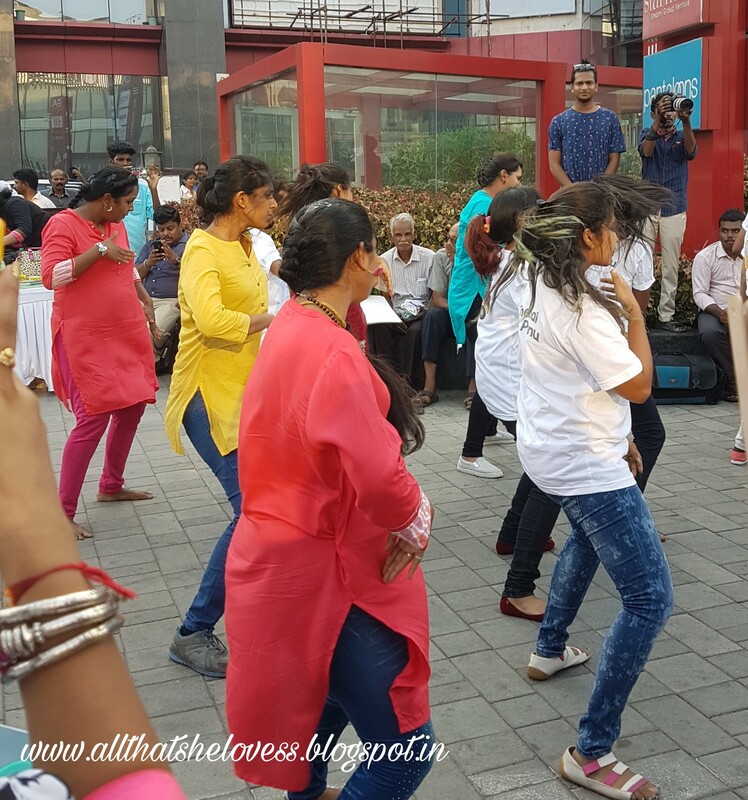 Today I'm doing a post on the recent event hosted by Himalaya Personal Care that I attended last week. 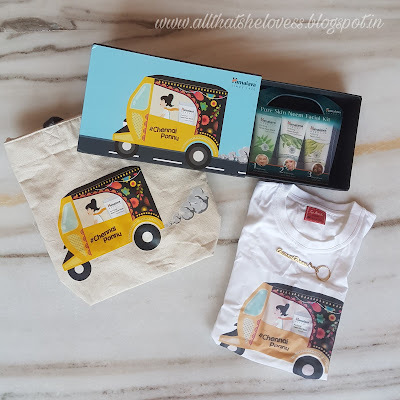 To win Exciting goodies participate in a fun contest happening on their FACEBOOK AND INSTAGRAM . 3 lucky winners will be selected. Contest ends on May 6, 2017. 1. 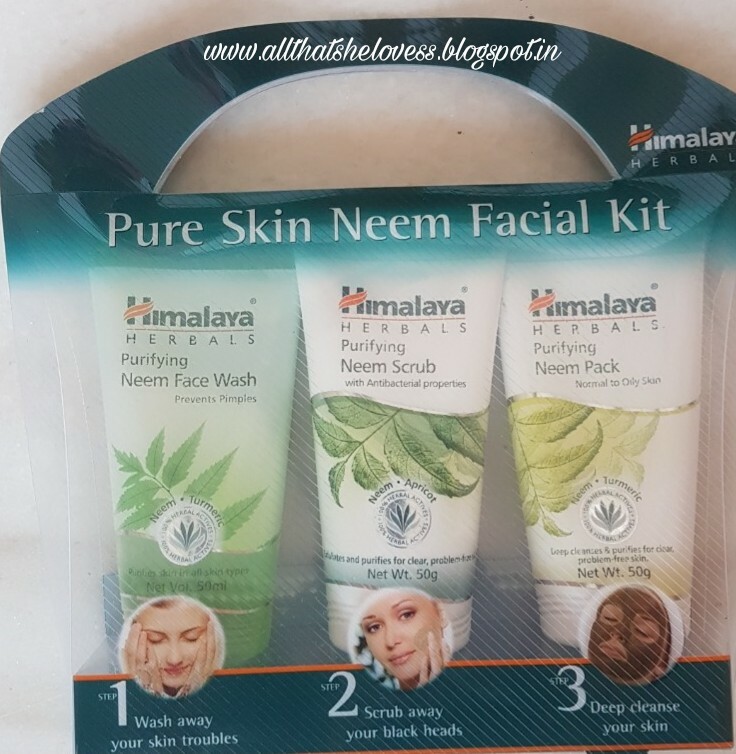 Himalaya Neem Face Wash : This helps with drying out the pimple and controlling excess oil on the skin. 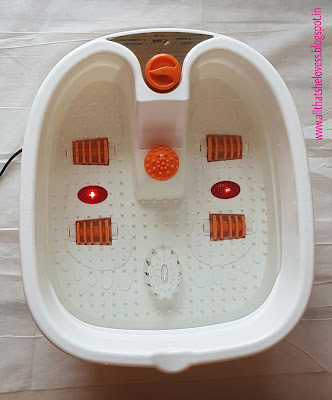 Its suited for all skin types except very dry skin as it can further dry out your skin. 2. Himalaya Neem Face Scrub: Its pretty mild and suitable for acne prone skin as the granules are not harsh and they dont irritate the skin. It gently buy effectively removes dead skin cells from my skin. 3. Himalaya Neem Face Pack: This one helps to deep clean the pores and also tightens my skin. Leaves my skin feeling smooth. I have used these products in the past as well and I still use it on and off even now. The face pack is specially great for travel due to its efficacy & tube packaging. Himalaya recently launched their campaign #chennaiponnu last week in Express Avenue Mall Chennai and to cover it leading Media was present and a group of girls showed us the signature #chennaiponnu moves created for this campaign. 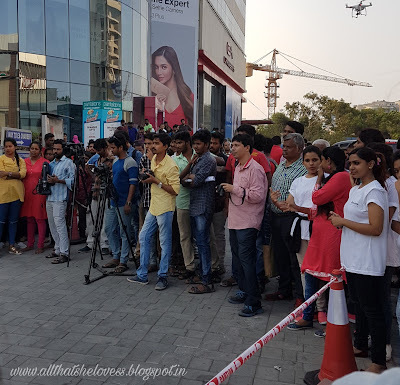 The Media & the crowd at the Event. I would love to hear from you guys about your experience with Himalaya if you have tried anything from them. If not what are you waiting for? You must definitely give it a try. 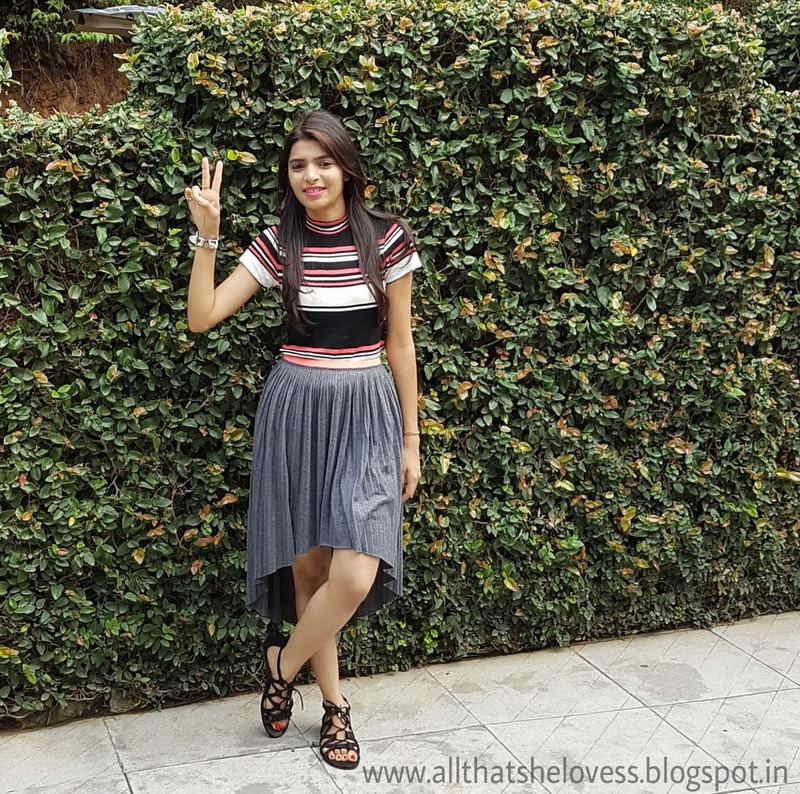 Today i'm sharing 2 looks in this post. 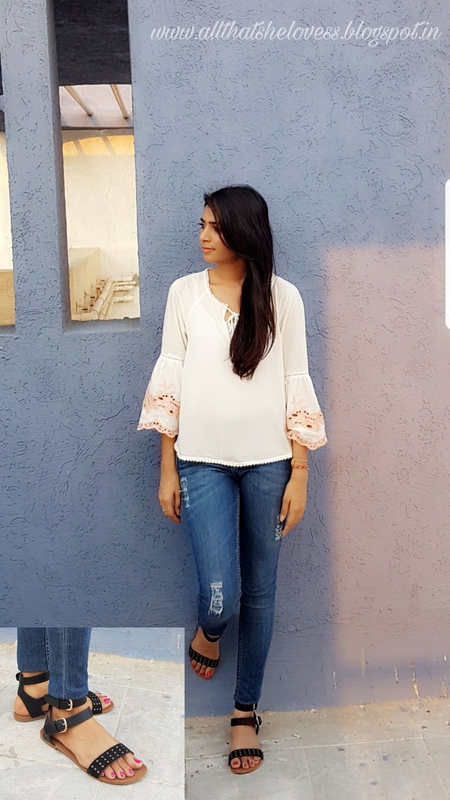 I have a thing for white clothes especially during summers I just cant resist buying them and same goes for black footwear. They are so easy to style and go with every color of outfit you wear. 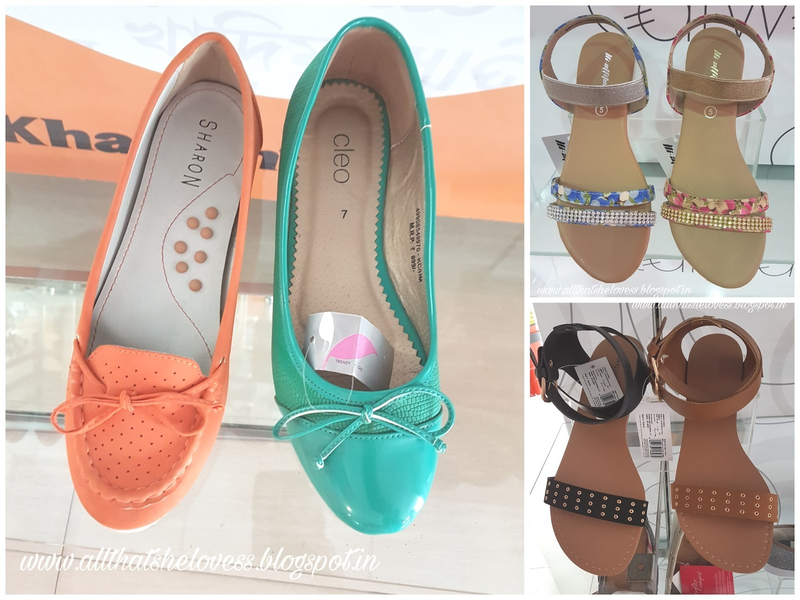 I recently went to Reliance footprints to get 1 pair of footwear but I ended up buying two because not just the collection is good right now but they also have a sale going on now that is Buy 1 get 40 % off and Buy 2 get 50 % off. To buy these footwear click HERE OR VISIT your nearest Reliance footprints outlet. I paired the lacy black sandals with this cute printed white shirt & black denim. To accesorise I wore a layered choker to keep it casual. These sandals are super comfortable and made up of suede material. The zip at the back and golden hardware on the lace add a nice touch to the overall look of the footwear. For this look I picked studded strappy sandals I especially love how the backside of this pair looks. 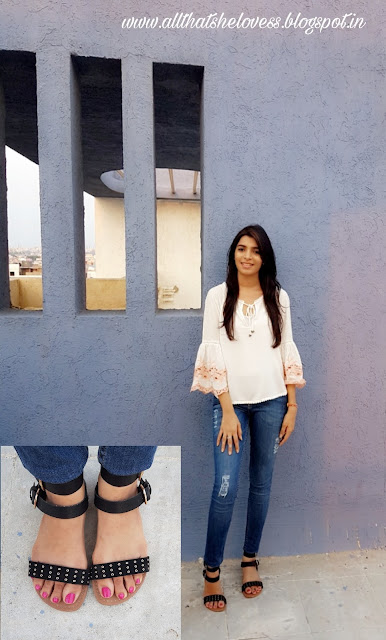 the studs on the sandal add a nice edge and I paired it with embroidered eyelet top with bell sleeve and distressed jeans. I hope you guys like this post. Comment down below and let me know which look is your favourite. 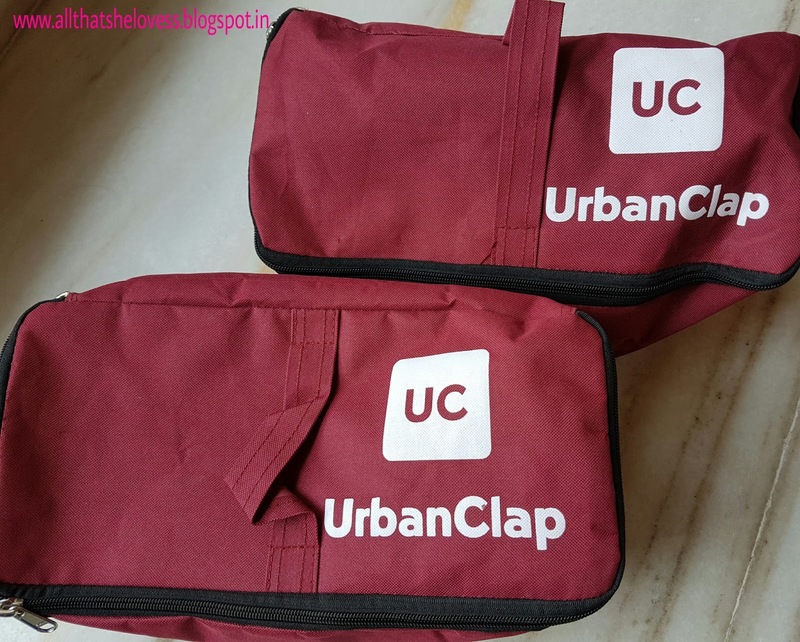 UrbanClap provides various House hold, Personal care, Fitness, Wedding & Event services & its really easy to avail them using their App. 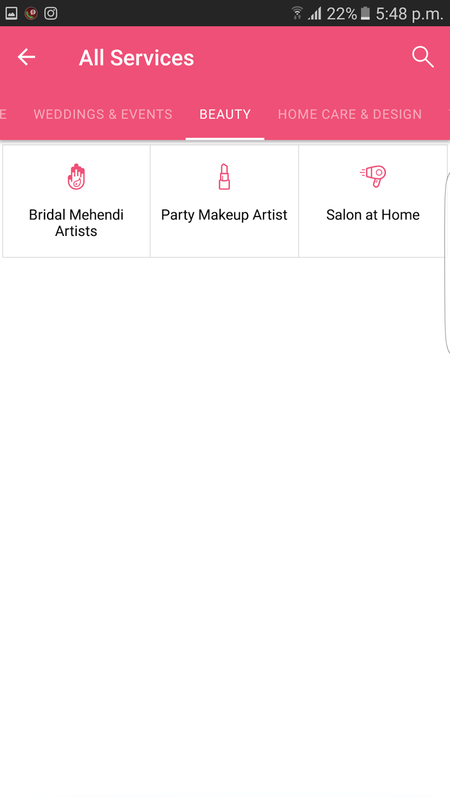 You can book an appoinment of your choice at your preferred time and voila! 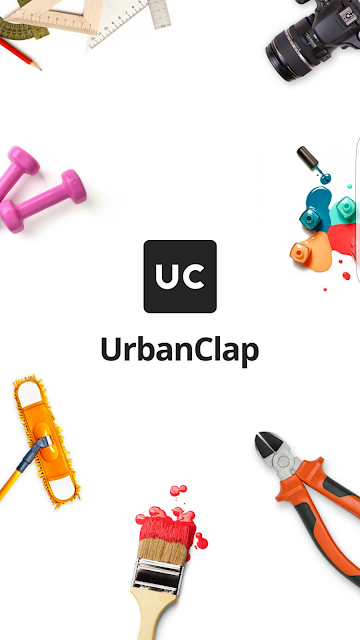 Urbanclap also provides some exciting discounts and its very easy to navigate through the app. 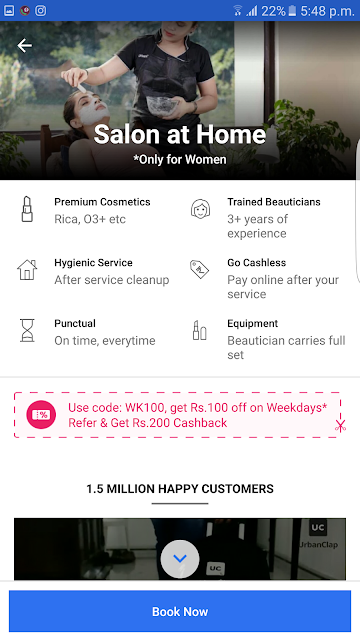 Obviously I opted for salon at home services & was pretty convinced to try them because they use good quality products. 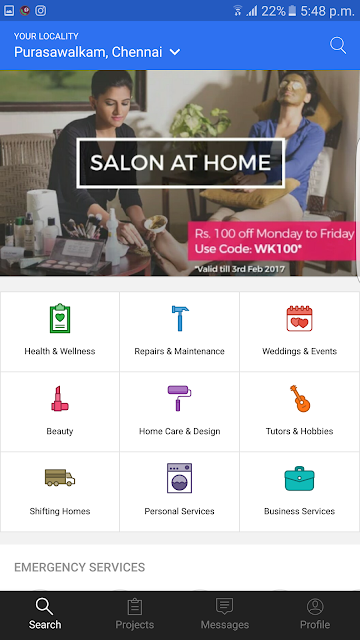 They have various packages designed to suit every need & if that wasn't enough they also provide each service individually as seen in the below picture. I was impressed by the punctuality, Friendliness & hygiene maintained by my Service provider lady, Ashwini. She made sure to deliver the services in the neatest way possible and tidied up my room on completion. She is extremely polite & friendly too. 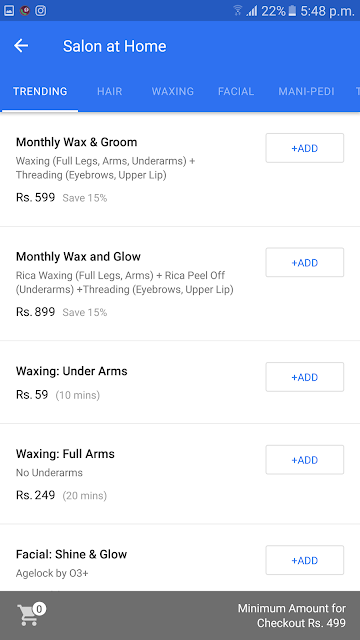 I opted for Manicure, Pedicure, Facial clean up & waxing, all of which was very economically priced. 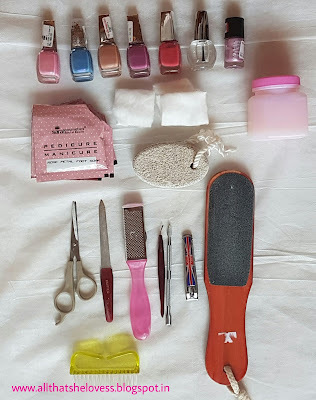 The Manicure & Pedicure was very relaxing, the foot massage was quite soothing, the products she used had a pleasing rose scent which just made the experience more pleasant. Love how neatly she painted my nails. On completion she cleaned my space and left it mess free. I totally recommend UrbanClap salon at home services, the hygiene & service at the comformt of my home is really what i'm looking for & I'm totally convert guys. SERIOUSLY. Here's a little thing about Me & Mascaras, I have long & dense lashes naturally so I dont generally prefer to spend huge amount on Mascara since they have to be tossed out after six months of first using them [Bonus tip for beginners who dint already know that :-P] due to which I have always been happy with Maybelline & Loreal. 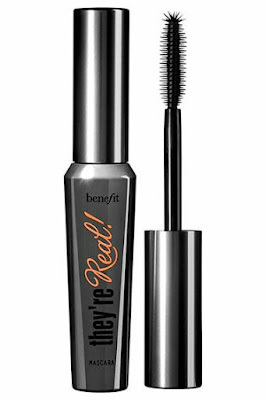 And this Best seller Mascara comes with a whopping price tag. So did it work or did it not? Lets find out. Benefit they're real mascara is beautifully packaged in grey & metallic tube. It has a fat rubberised wand with domed tip & features staggered bristles which grabs the roots of every lash & coats each lash evenly to makes your lashes look fluttery yet seperated. The color is Jet black so the outcome is outstanding. This mascara adds Amazing length & volume to my already long & thick lashes without clumping them. This is what I love the most about this Mascara. Its has a non drying consitency perfect to achieve clump free lashes. It is smudge free & lasts all day long on me without leaving any dry flakes under my eyes. 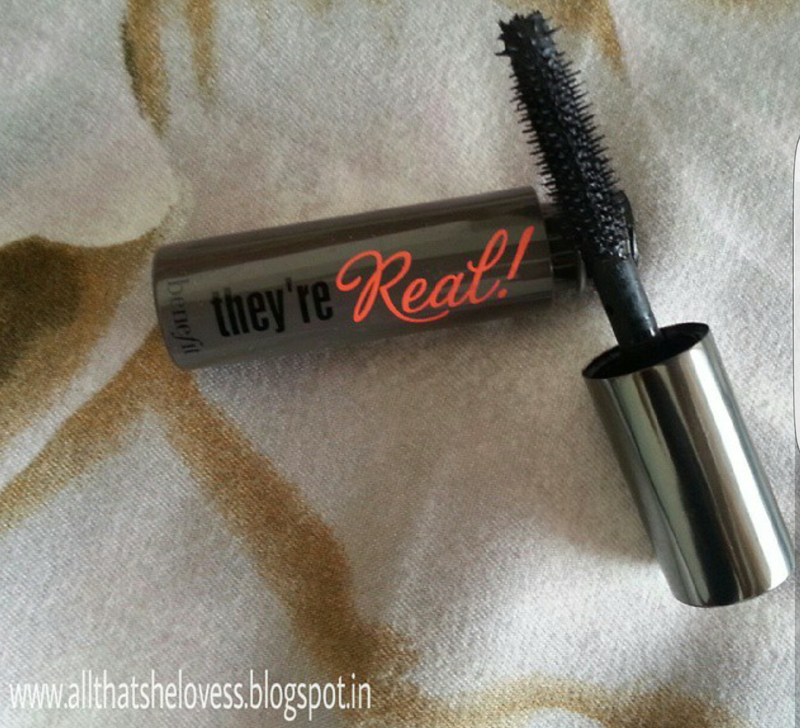 This award winning mascara always work for me so I am glad to have succumbed to its hype. Love the fact that it comes in Travel sized version as well. Allow the coats to dry properly while layering this mascara & always remember to wiggle the wand while application to avoid clumps. Also read: How to apply mascara like a Pro. Clump free. I always buy mascara mini when ever possible especially when its pricey so that I can utilise maximum product before its time to dispose it. 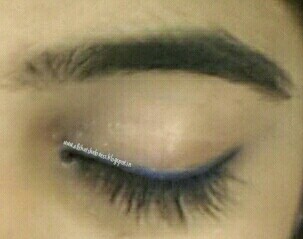 Added tip: Never share your mascara & dispose is after 6 months from its first usage. Available in Sephora India & online. 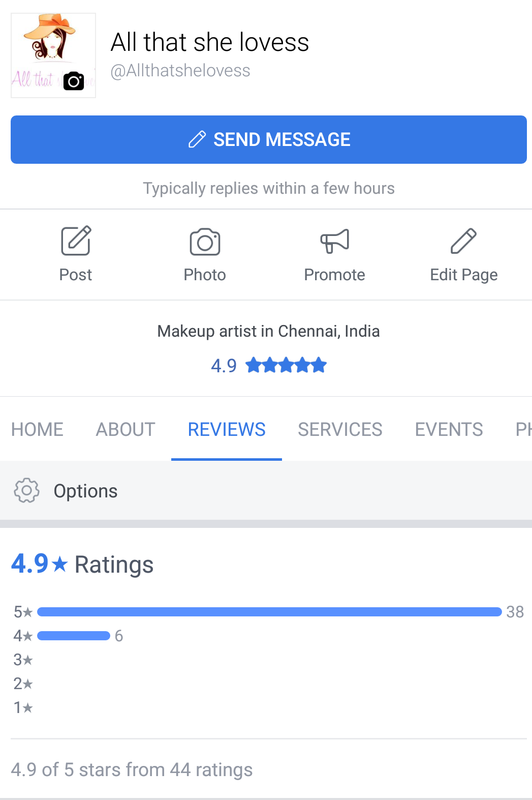 On a side note I hear Sephora is finally gonna open its doors this year in Chennai after being under construction for what seems like forever.